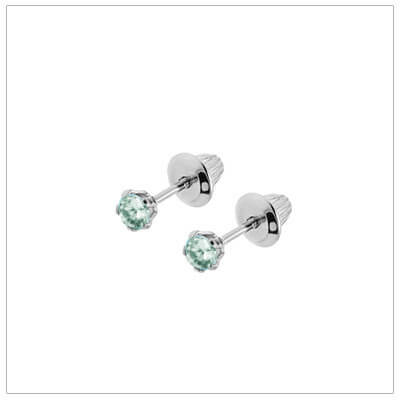 Sterling screw back earrings with synthetic December birthstones. Screw back earrings for baby and child. 14kt yellow gold 3mm January birthstone earrings. Screw back earrings for baby, toddler, child. 14kt yellow gold 3mm February birthstone earrings. Screw back earrings for baby, toddler, child. 14kt yellow gold 3mm March birthstone earrings. Screw back earrings for baby, toddler, child. 14kt yellow gold 3mm April birthstone earrings. Screw back earrings for baby, toddler, child. 14kt yellow gold 3mm May birthstone earrings. Screw back earrings for baby, toddler, child. 14kt yellow gold 3mm June birthstone earrings. Screw back earrings for baby, toddler, child. 14kt yellow gold 3mm July birthstone earrings. Screw back earrings for baby, toddler, child. 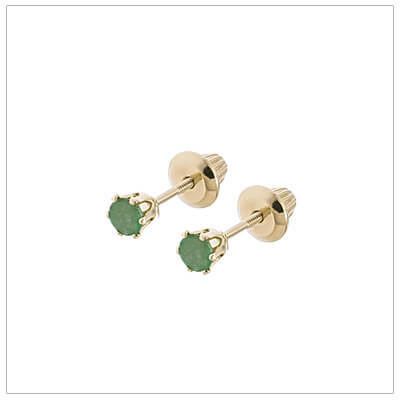 14kt yellow gold 3mm August birthstone earrings. Screw back earrings for baby, toddler, child. 14kt yellow gold 3mm September birthstone earrings. Screw back earrings for baby, toddler, child. 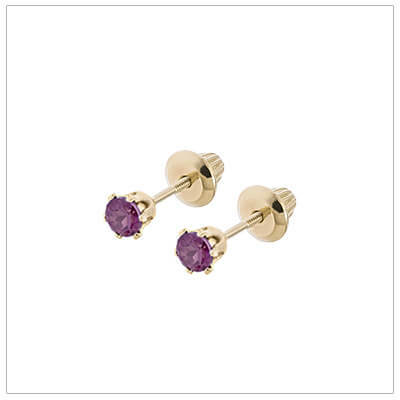 14kt yellow gold 3mm October birthstone earrings. Screw back earrings for baby, toddler, child. 14kt yellow gold 3mm November birthstone earrings. Screw back earrings for baby, toddler, child. 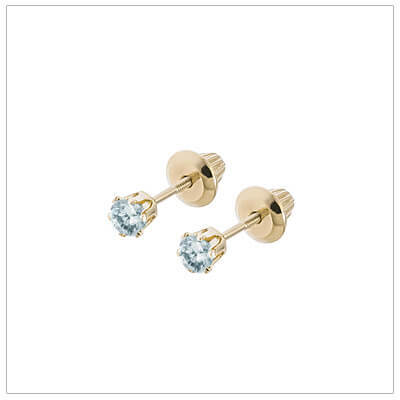 14kt yellow gold 3mm December birthstone earrings. Screw back earrings for baby, toddler, child. 14kt white gold 3mm January birthstone earrings. Screw back earrings for baby, toddler, child. 14kt white gold 3mm February birthstone earrings. Screw back earrings for baby, toddler, child. 14kt white gold 3mm March birthstone earrings. Screw back earrings for baby, toddler, child. 14kt white gold 3mm April birthstone earrings. Screw back earrings for baby, toddler, child. 14kt white gold 3mm May birthstone earrings. Screw back earrings for baby, toddler, child. 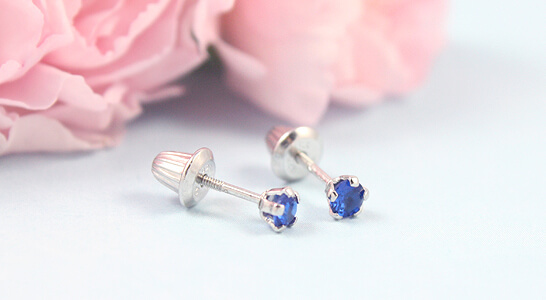 14kt white gold 3mm June birthstone earrings. Screw back earrings for baby, toddler, child. 14kt white gold 3mm July birthstone earrings. Screw back earrings for baby, toddler, child. 14kt white gold 3mm August birthstone earrings. Screw back earrings for baby, toddler, child. 14kt white gold 3mm September birthstone earrings. Screw back earrings for baby, toddler, child. 14kt white gold 3mm October birthstone earrings. Screw back earrings for baby, toddler, child. 14kt white gold 3mm November birthstone earrings. Screw back earrings for baby, toddler, child. 14kt white gold 3mm December birthstone earrings. 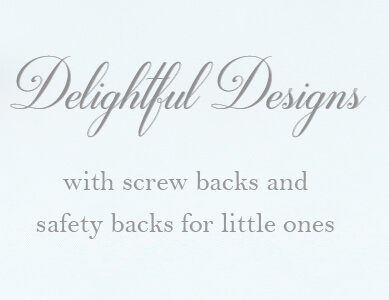 Screw back earrings for baby, toddler, child.